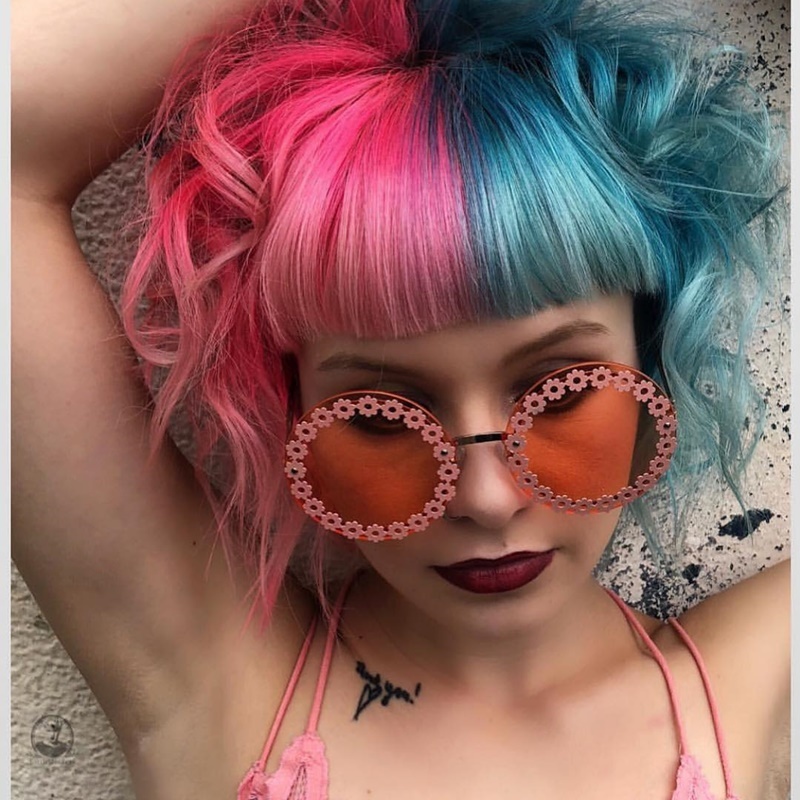 January is here which is the month of “new year, new me.” Although you may not have a new year’s resolution, maybe you want to change your look up a bit. 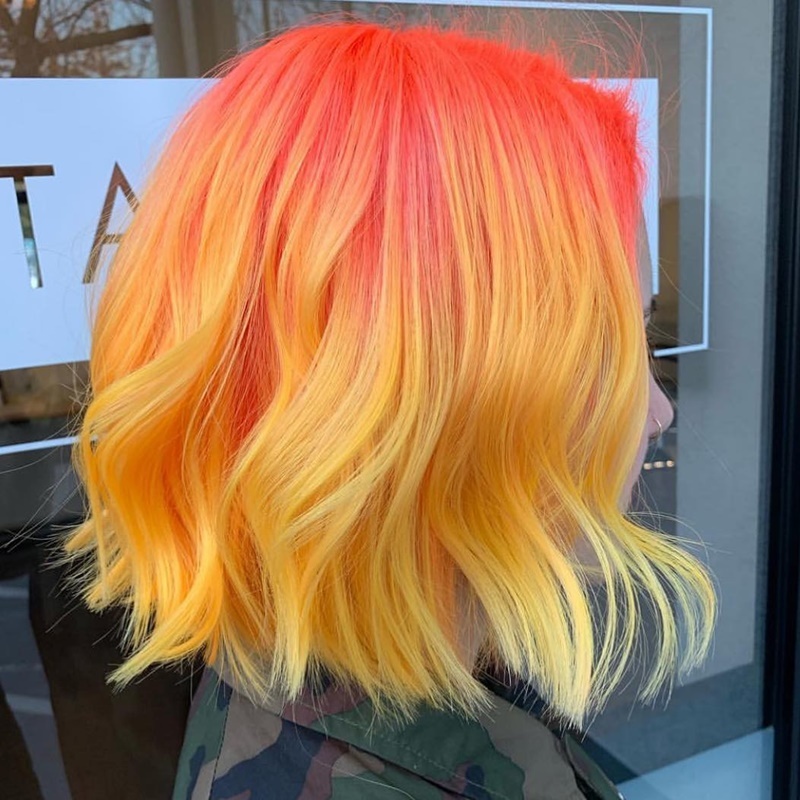 Regardless if you do a massive cut or a bright new color, we decided to help you out and share 45 of our favorite short hairstyles that were shared on Instagram this month. Take a look at these short hairstyles and see if any of them fit your mood, maybe you will easily find your next style. 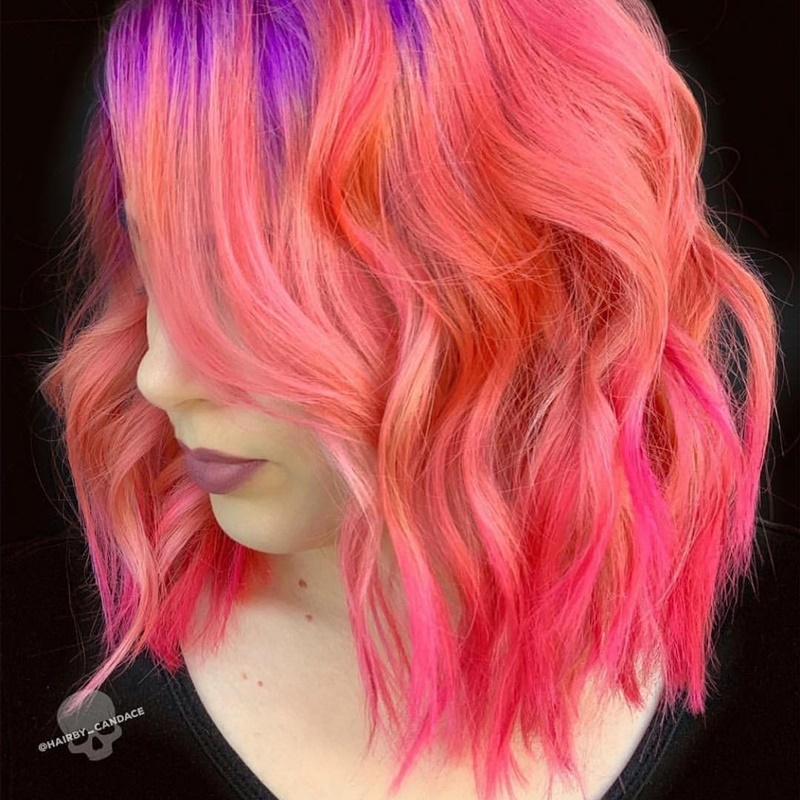 Really start this year off with a bang and add a duo color to your hair. 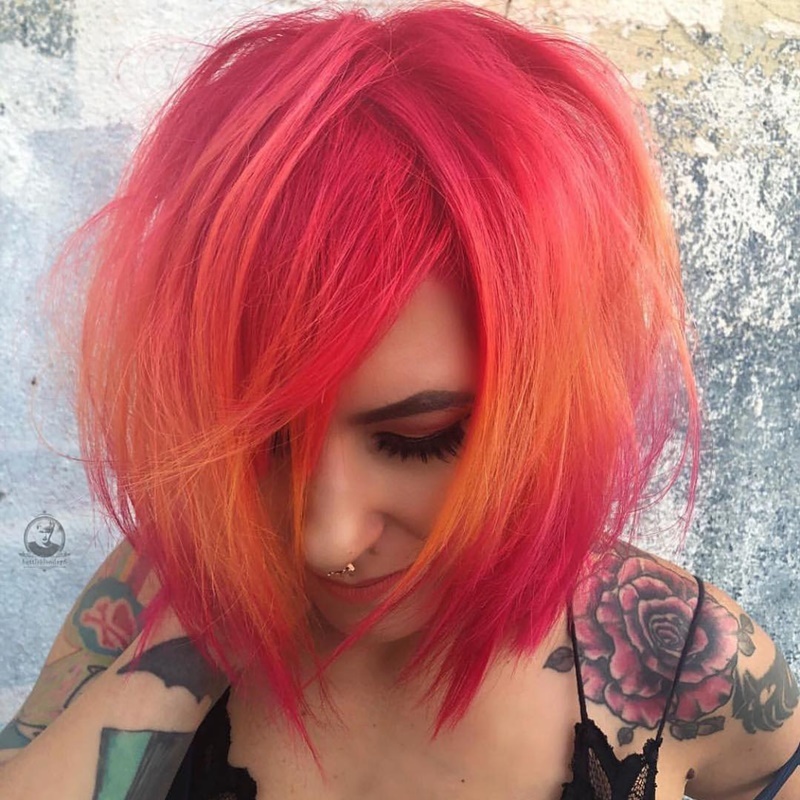 Let your color pop by cutting your hair into a bob style and add blunt bangs to the mix. If you are looking for some volume then add a bunch of curls. 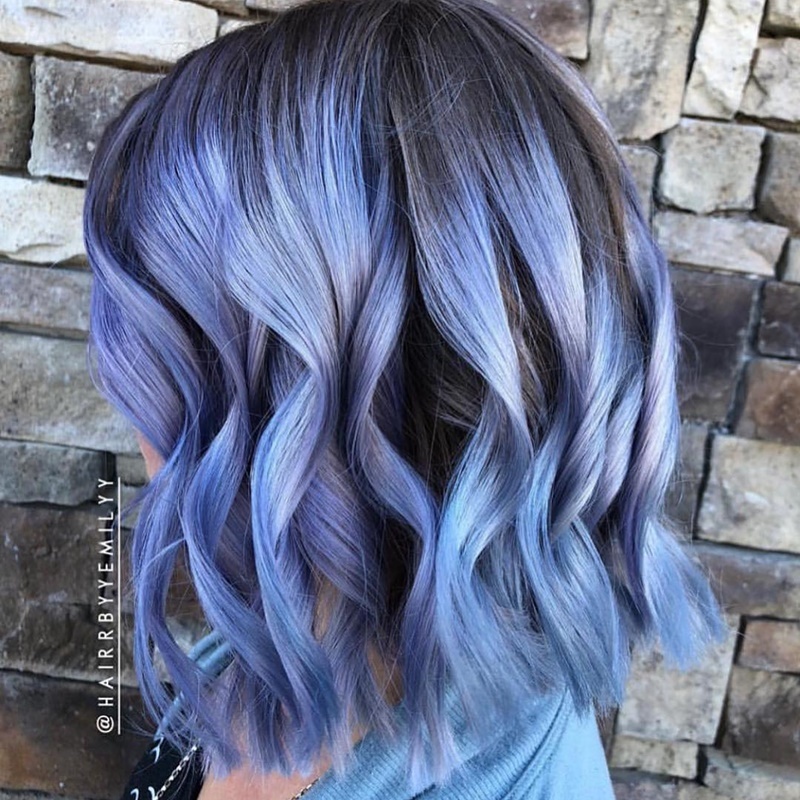 Lobs are still popular in 2019 but you can make your lob a little more unique by adding some silver dye to it. Silver is an edgy color and works well on almost anyone. 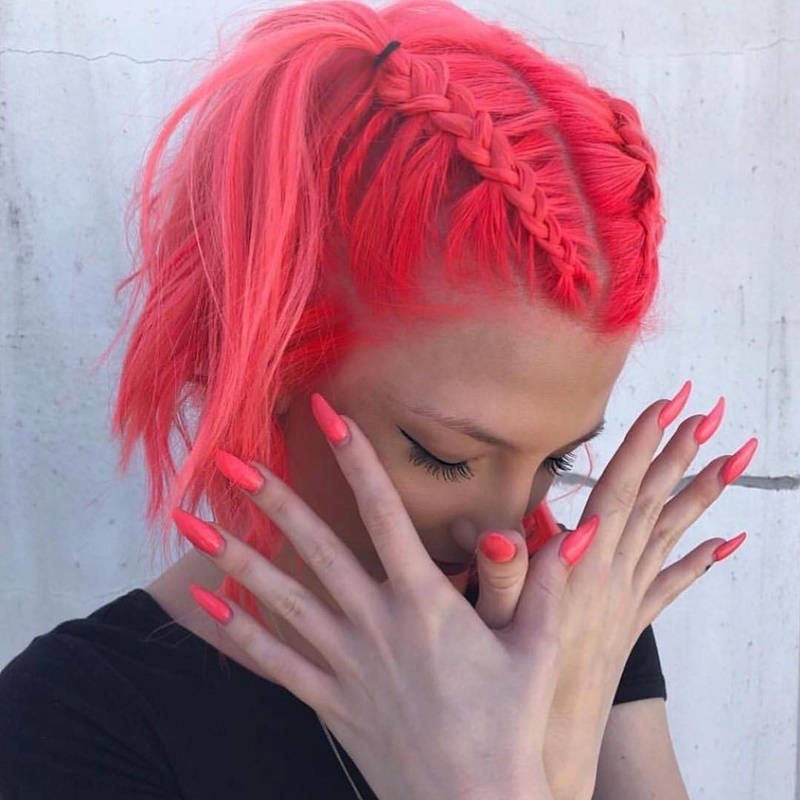 Bright fun colors are in this year and pink hair will make a statement. 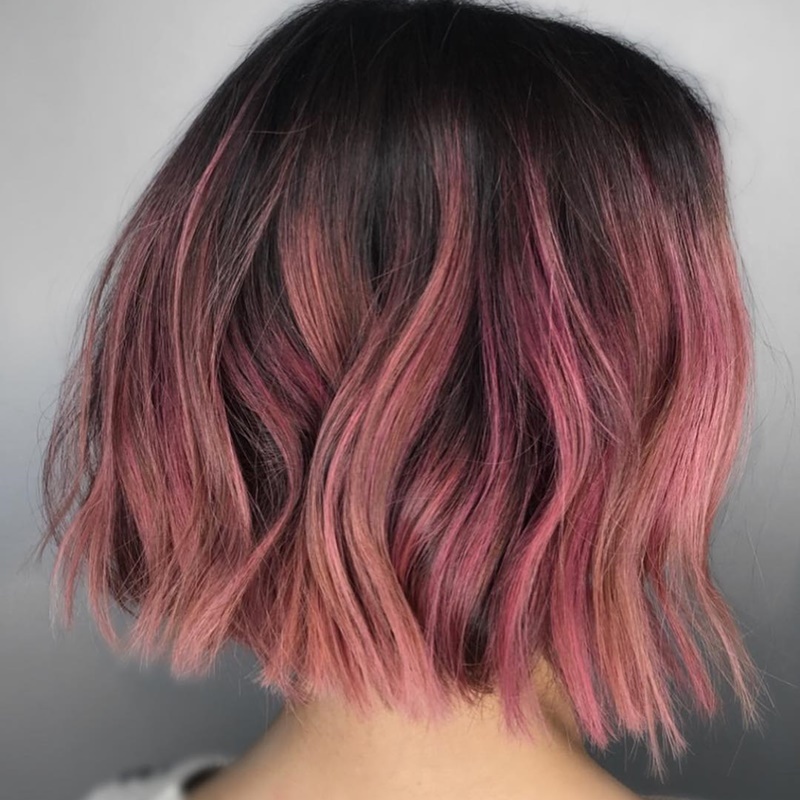 Try out this lovely pink color and take it up a notch by cutting your hair into a bob style. 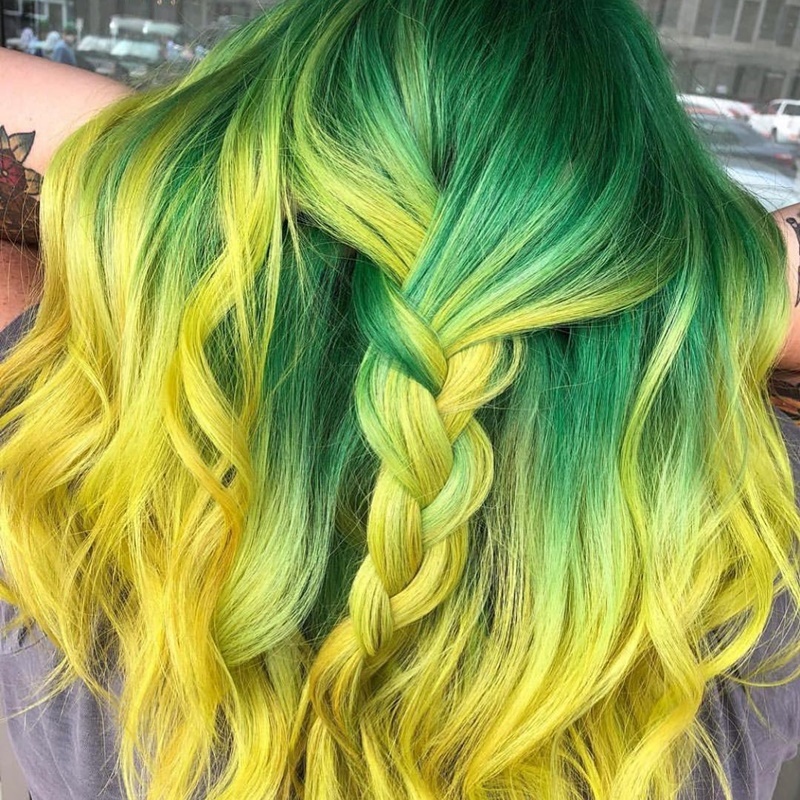 This two-toned lob is screaming to be put onto your head. The color fades from a beautiful red to a lovely yellow and will make quite a statement when you wear it. Shadow roots came into the scene last year and are perfect for people with dark color hair that loves fashion colors. 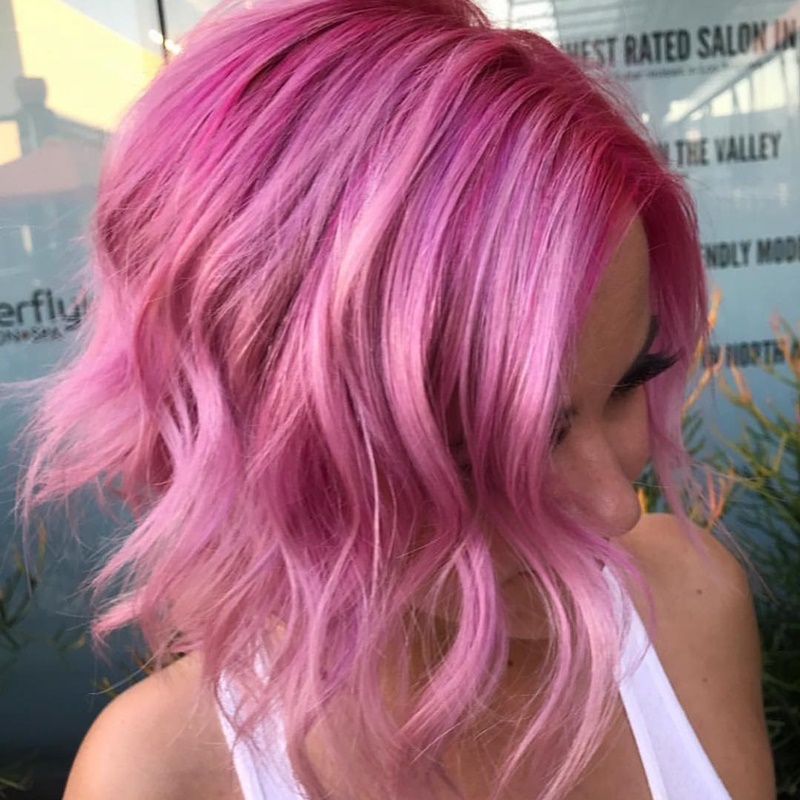 This washed out berry pink looks wonderful on everyone and pairs perfectly with a shadow root. Add a lob hair cut and you will be the envy of all your friends. 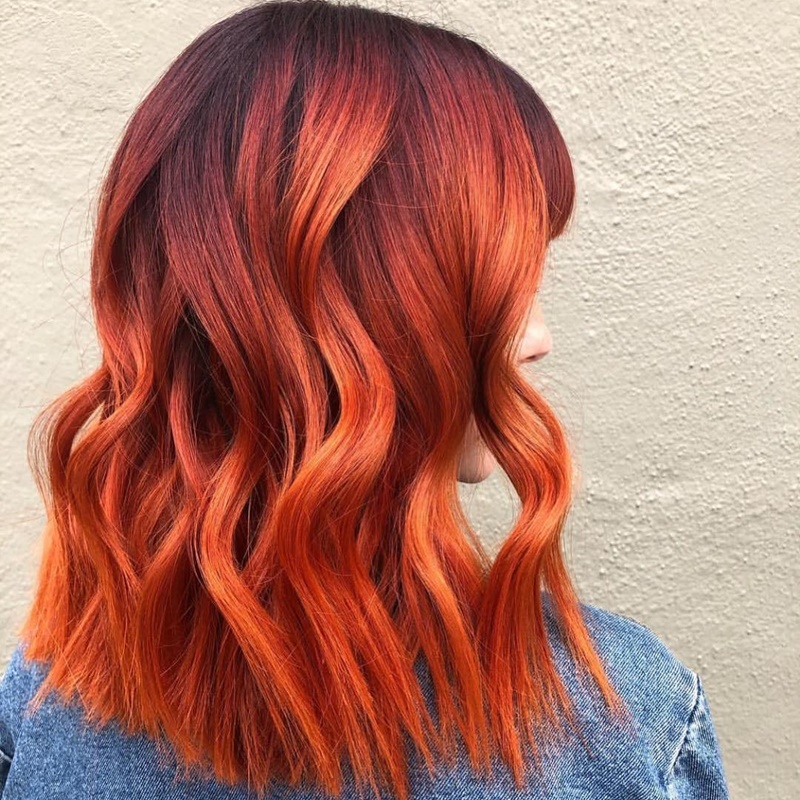 Bob hairstyles are great to wear and look amazing but when you add this fiery red color to the mix, you are entering the high fashion world. 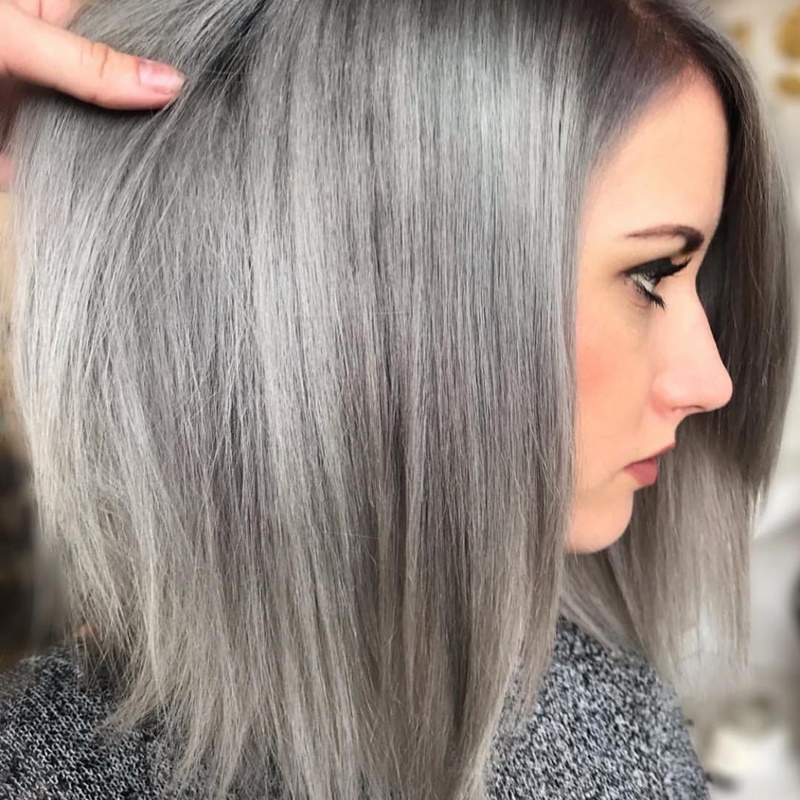 Grey is normally a color associated with age but grey hair is becoming popular and a great color to wear. Keep your hair longer with a lob cut and pack the color on. Show off your favorite colors with this beautiful lob. Curl your hair to give it some definition and really show off your stunning color. 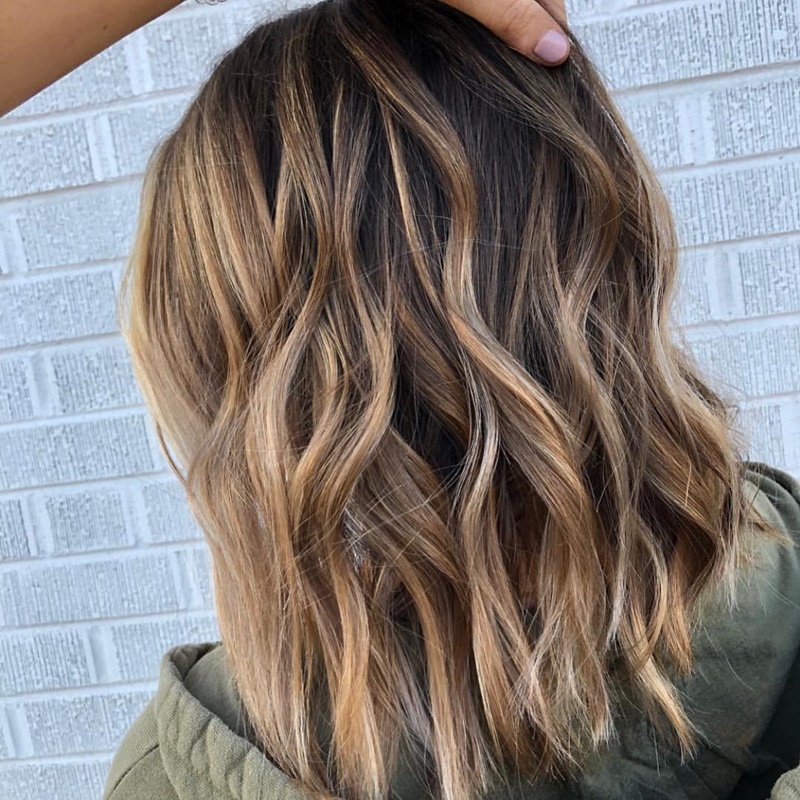 Balayage color will always be popular and if you are looking to keep your hair natural but with some flair, a balayage is perfect! If you are struggling to style your hair, try this look out. Part your hair down the middle and add two braids on each side. Tie them off at the top and let your hair float down around your hears. The style is simple but looks awesome. Try adding a little spice to your look with this chunky braid. Just take a section of your hair in the back and braid it into a big braid. Curl the rest of your hair and enjoy your beautiful style. 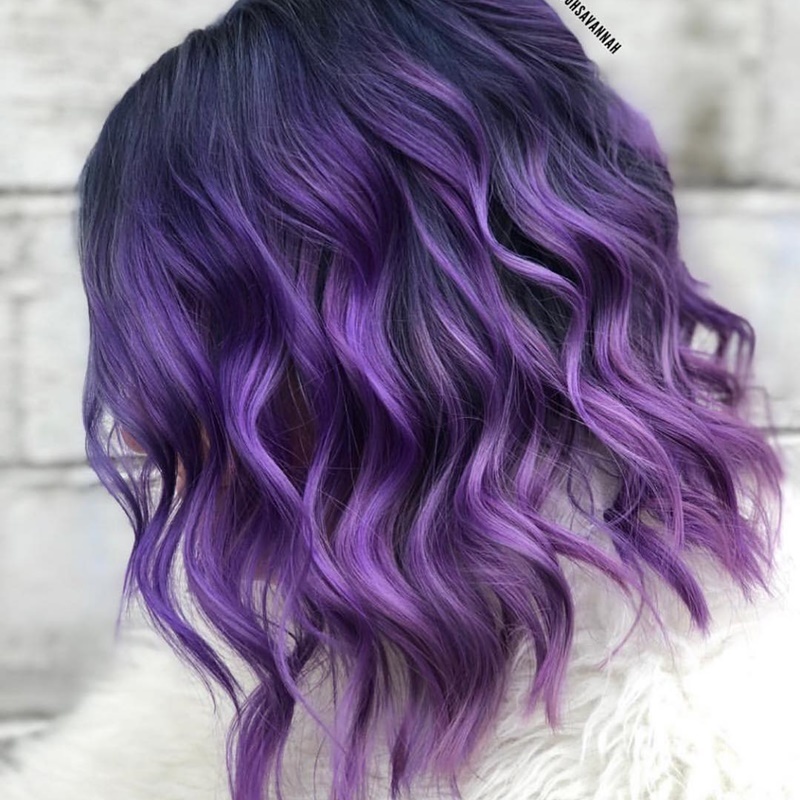 Everyone says to go dark for winter so why not try out some dark purples. This color will hold well over the winter and looks stunning. This cobalt blue color is stunning and a great color to wear if you are unsure about dying your hair a fashion color. 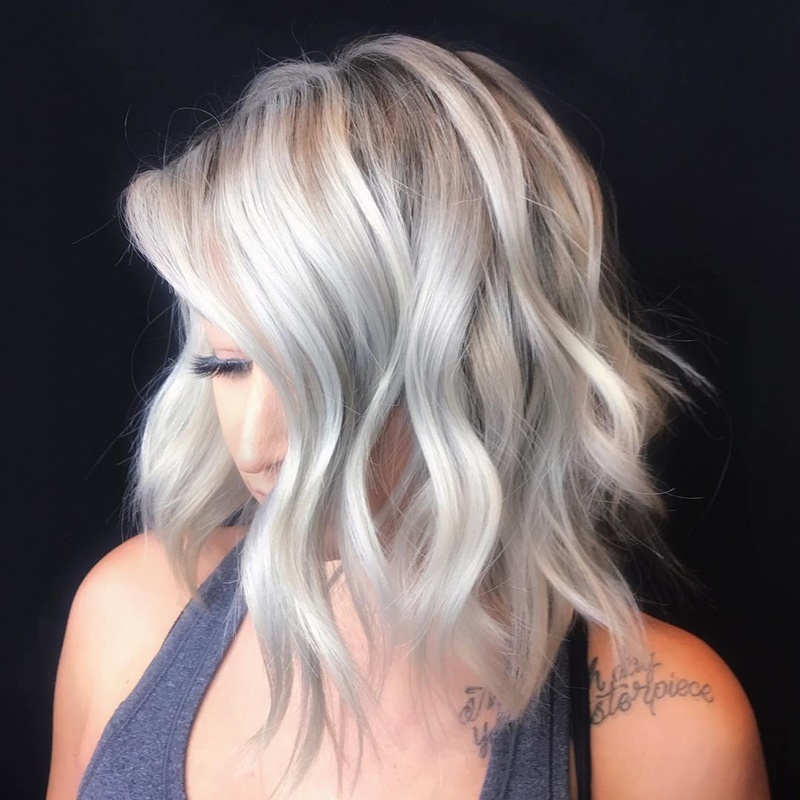 The added hints of silver really make your hair pop, especially if you add some curls. If you are unsure about cutting your hair short, try this longer lob. 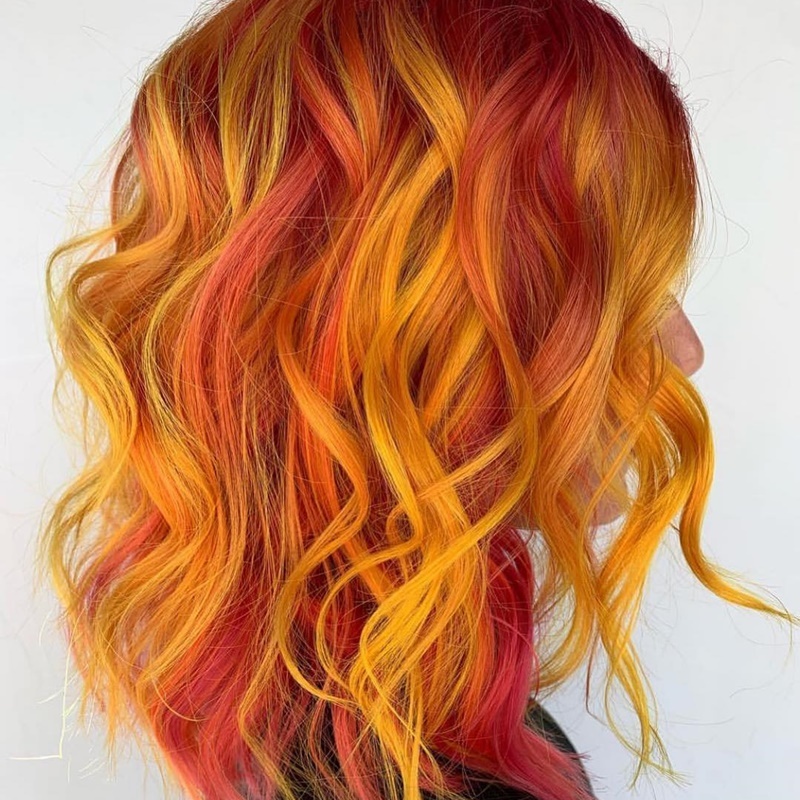 It is the perfect in-between of long and short and when you add this fun autumn color it will really elevate your hair. Make a statement with this awesome yellow and red color mixture. Curl your lob to really get the full effect of the color and to show each section off perfectly.